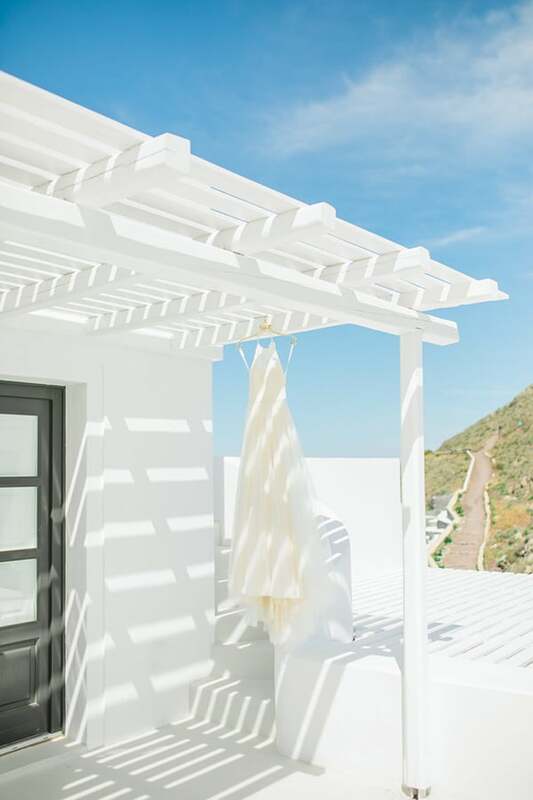 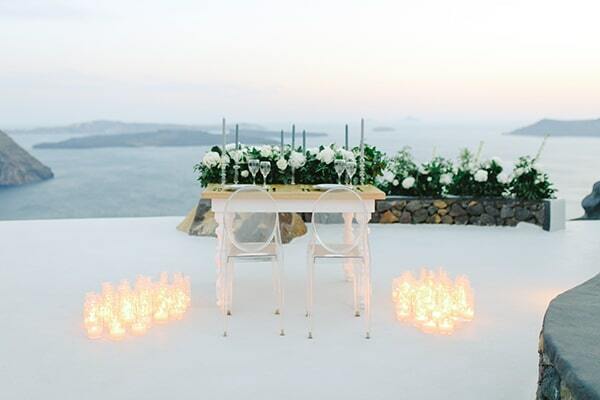 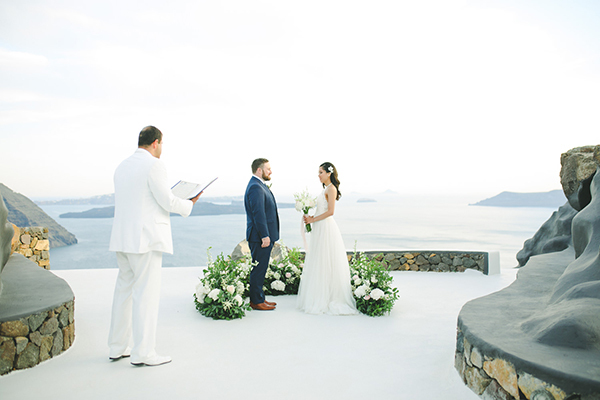 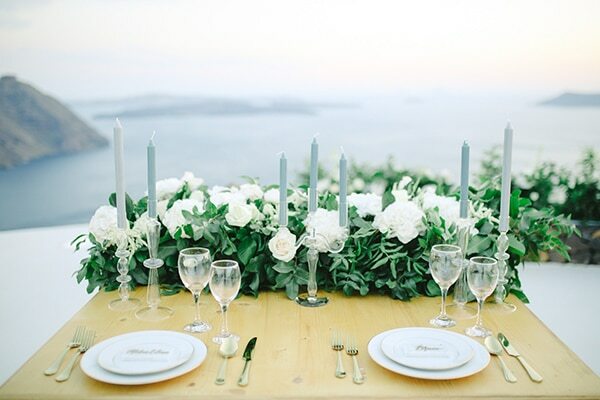 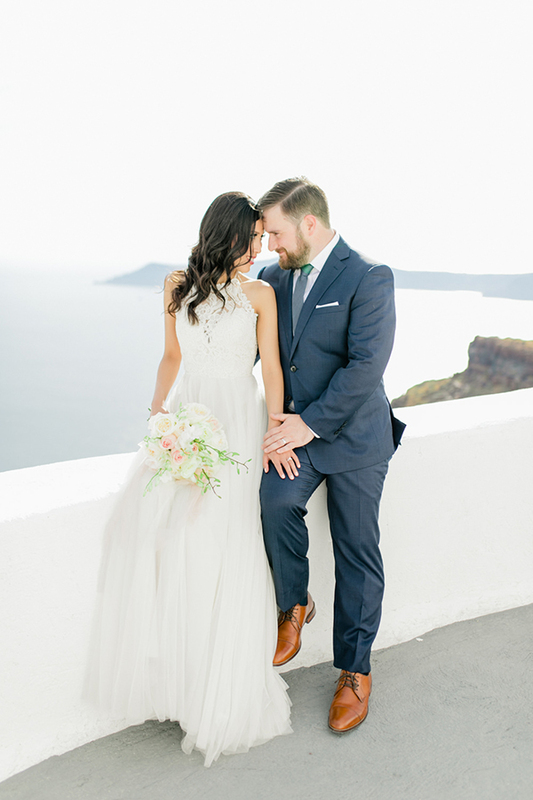 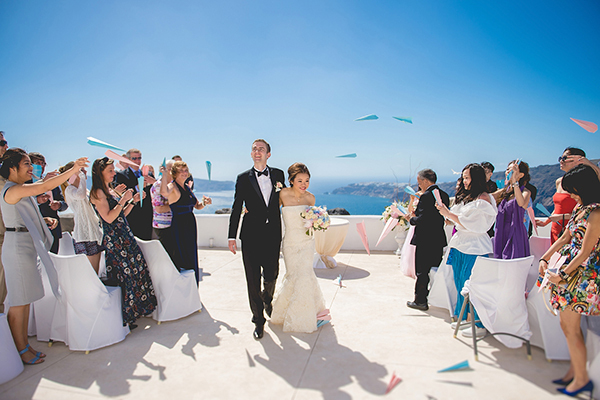 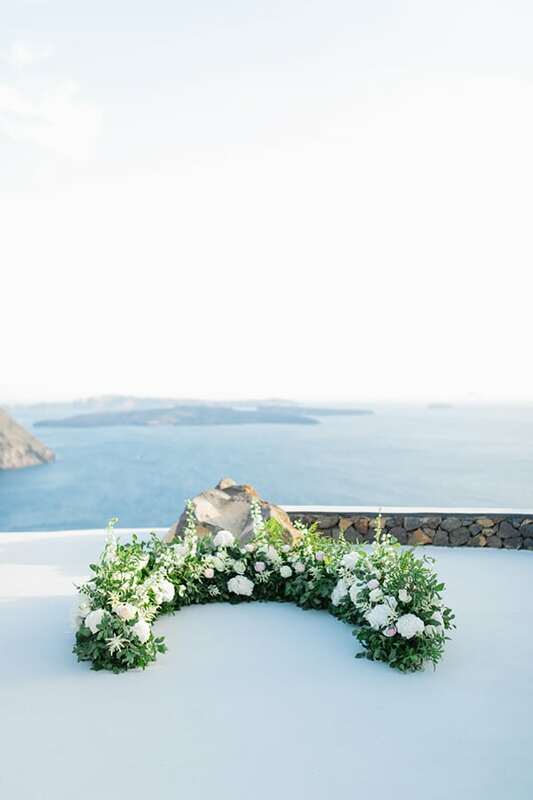 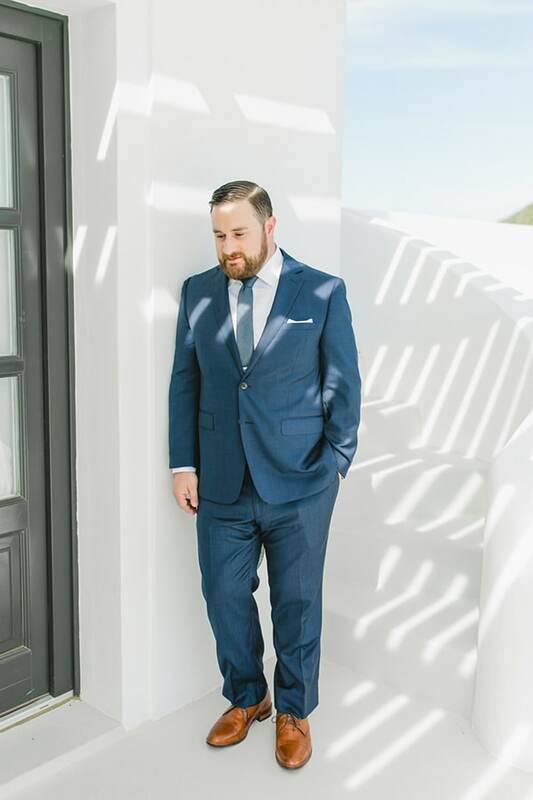 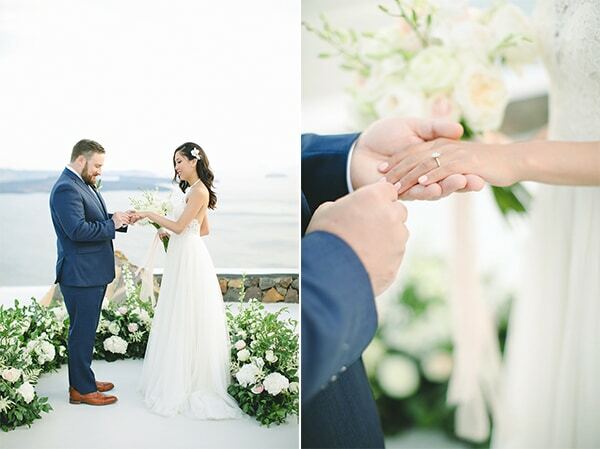 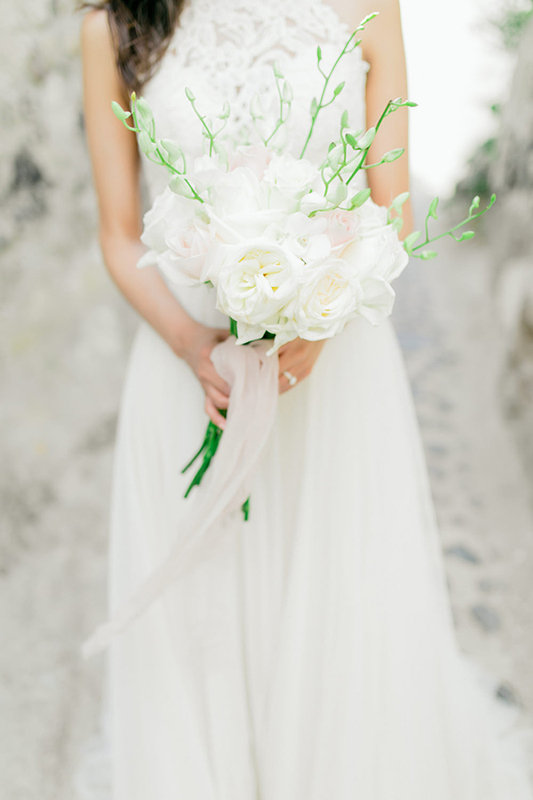 Maria Elena and Bruce had an intimate, gorgeous elopement in Santorini. 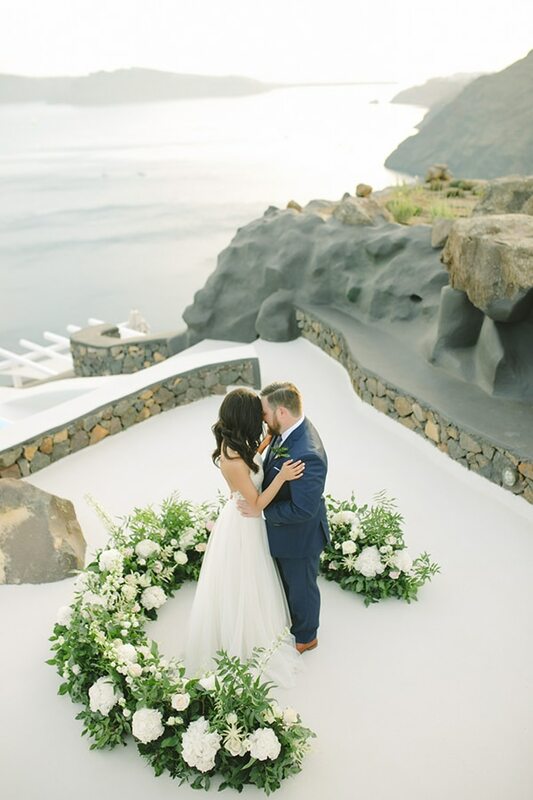 They chose to tie the knot in this dreamy island because of the romantic atmosphere and the beautiful landscapes and views. 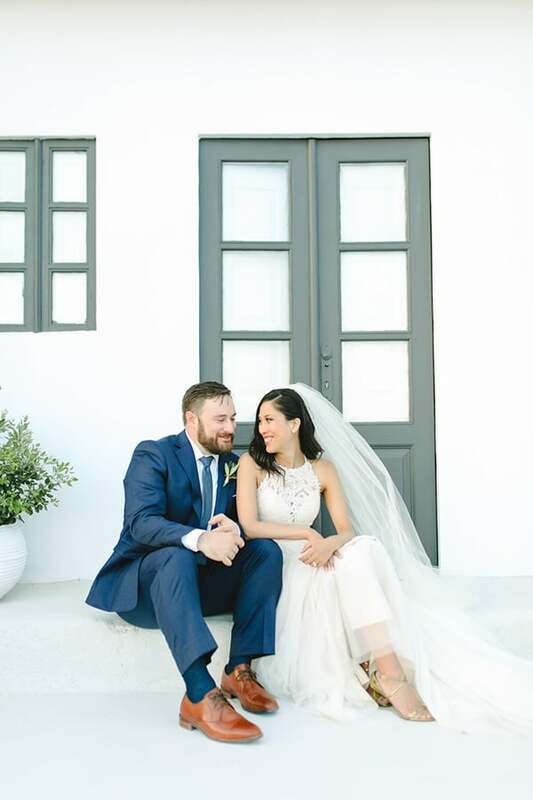 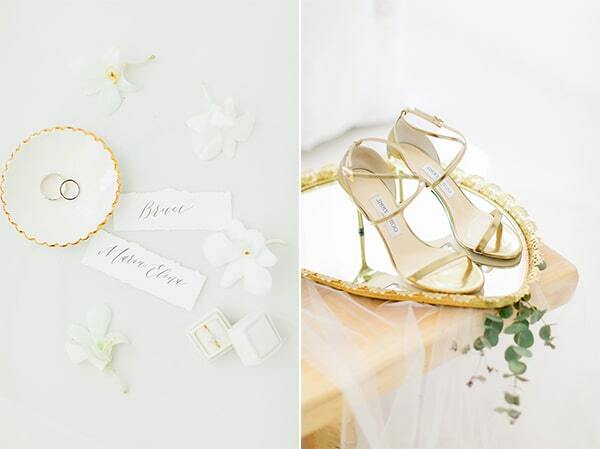 As their families and friends are spread across the world, eloping was the perfect choice for them! 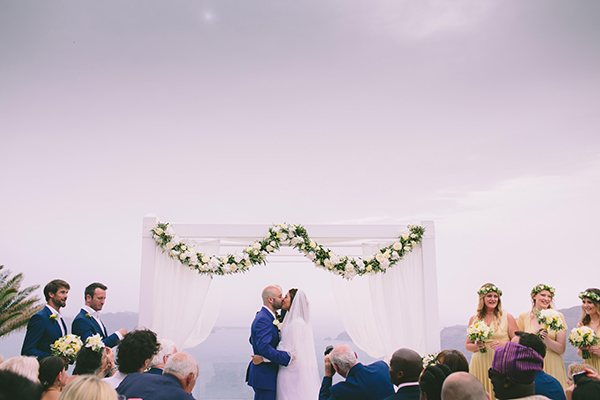 The ceremony and dinner took place in the terrace of the villa that they rented which had the most breathtaking view ever! 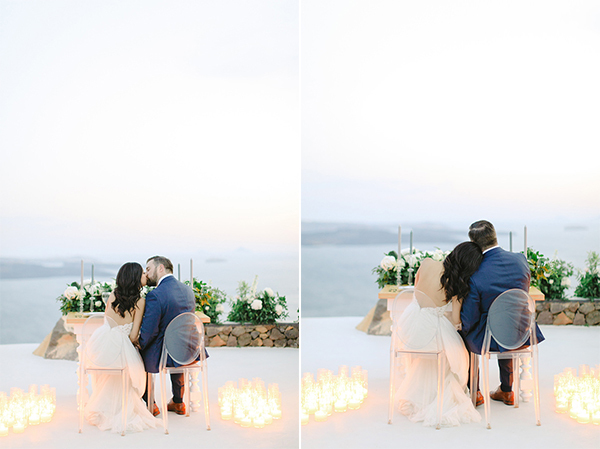 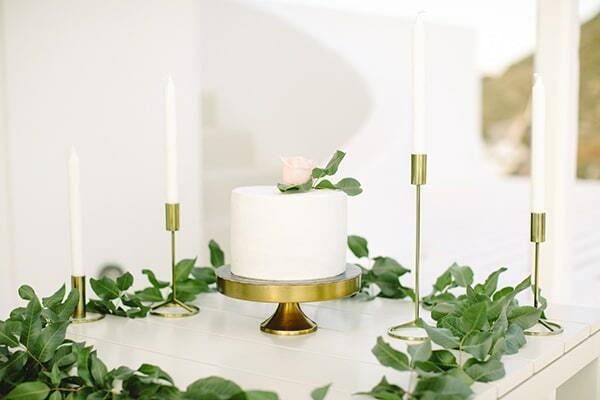 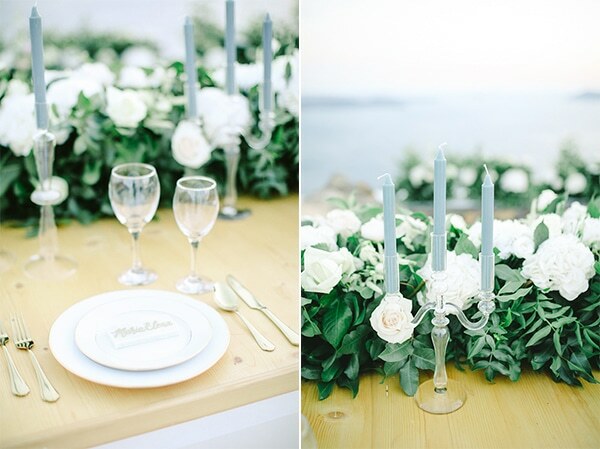 Overlooking the deep blue sea these two lovebirds sealed their love, enjoyed a romantic dinner and danced in the middle of a magical floral design in pastel pink and white hues… Get lost in this minimal and fairytale beauty through the following images by Anna Roussos Photography! 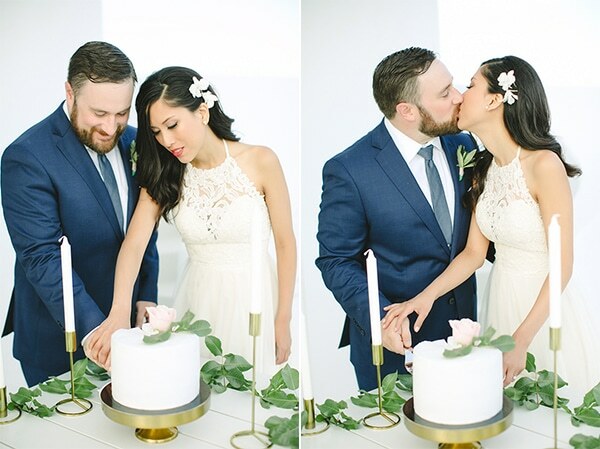 “Bruce is from the USA and I am from Ecuador. 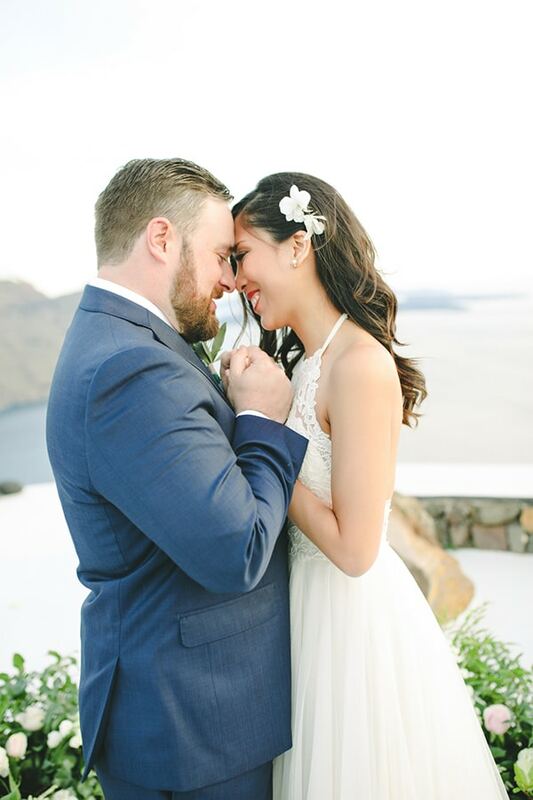 We both lived in Europe for a while and met at work in Belgium. 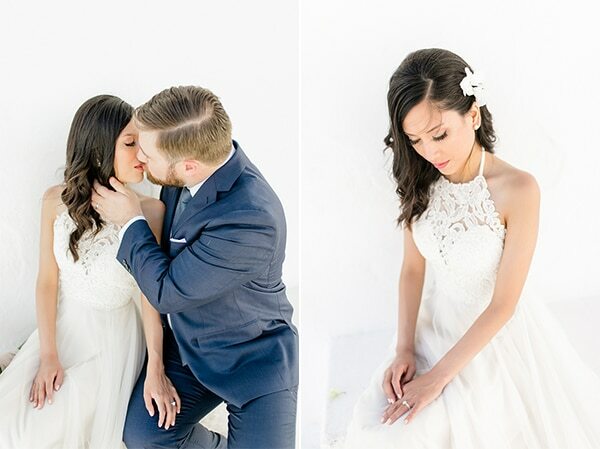 Eventually, he returned to San Francisco and we were long distance for about a year until I moved there to be with him”, the bride shared with us.